Rob Crawford’s role as CEO of the Life Development Institute began in 1982. Life Development Institute offers an exemplary literacy program for those with learning disabilities, responding to the immense community need for support services that allow young adults with learning disabilities to enhance their knowledge, skills and resources to live independently. Mr. Crawford received a Master of Education degree from Northern Arizona University and Bachelor of Science degree in business administration and marketing from the University of Phoenix. He has served on a variety of local and national boards including the Learning Disabilities Association of America and the National Adult Literacy and Learning Disability Center, National Institute for Literacy. Through his Piper Fellowship, Mr. Crawford explored how to expand opportunities for independent living services at his agency. To determine the best strategies for metropolitan Phoenix, he examined three different models including mutual housing association complexes, which provide safe, permanently affordable housing with a strong sense of community and resident empowerment; cohousing projects, characterized by private dwellings with extensive common facilities; and the nation’s only known housing development designed for adults with severe learning disabilities. Mr. Crawford also attended two conferences: The Arizona Affordable Housing Conference and The Enterprise Foundation Network Conference. Michelle MacLennan’s job as assistant manager for the Chandler Center for the Arts grew out of a passion for theater developed in high school. Through jobs with the John Paul Theatre at Phoenix College, Arizona State University Public Events at Kerr Cultural Center, and the Chandler Center for the Arts, Ms. Mac Lennan has experienced nearly every aspect of theater management. She joined Chandler Center for the Arts in 1999 as patron services manager and was promoted to program and event coordinator before leaving for a short stint to serve as the fine arts coordinator for the Tempe Center for the Arts. She returned to the Chandler Center for the Arts in October 2005 as assistant manager. 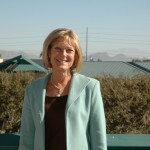 At the time of her fellowship, Ms. MacLennan completed coursework at ASU, Mesa Community College and Phoenix College as well as through Landmark Education. Through her Piper Fellowship, Ms. MacLennan sought to enhance her leadership ability, expand her capacity for long-term planning and implement up-to-date approaches to patron services and internal communications. She attended the Americans for the Arts Convention and the International Association of Assembly Managers conference; completed courses in strategic management and leadership and ethics in the nonprofit sector at the ASU Center for Nonprofit Leadership and Management; and participated in Landmark Education’s seminar The Advance Communication Course: The Power to Create. To enhance her presentation and communication skills, Ms. MacLennan attended an intensive one-week course on acting for film at the New York Film Academy. After working in several family support services positions at Homeward Bound, Milon F. Pitts in 2004 took over as director of client services, managing a staff of eight and overseeing support services and programs that help families and children achieve economic independence and stability. Prior to joining Homeward Bound, Mr. Pitts worked at Chandler Gilbert Arc as a residential and community relations coordinator and at Sycamores-Pasadena Children’s Training Society as the day treatment coordinator. Mr. Pitts holds a bachelor’s degree in business management from the University of Phoenix and an Associate of Arts degree from Pasadena City College. He completed family studies coursework at Iowa State University. Mr. Pitts attended three one-week workshops offered by the National Training Institute to enhance his leadership, interpersonal, and strategic planning skills. He worked with a certified coach to clarify his personal and professional goals. To enrich his understanding of fund development, Mr. Pitts attended The Grantsmanship Center’s one-week training program. He visited several exemplary housing programs in Boston and attended a seminar about housing tax credits offered by the Institute for Professional and Executive Development. After working for 18 years in various positions at the Arizona Department of Economic Security program, Ms. Porter joined Crisis Nursery as executive director in 1994. At the time of her fellowship, Crisis Nursery had expanded its services from an emergency shelter to offering programs to children living at home with their parents. Ms. Porter holds a Master of Social Work degree from the University of Nebraska at Omaha and a Bachelor of Arts degree in social welfare and sociology from the University of Nebraska. Ms. Porter took two courses at Harvard Business School: Performance Measurement for Effective Management of Nonprofit Organizations and Strategic Perspectives in Nonprofit Management and conducted three site visits in Ohio, Colorado, and California where practitioners are redefining child welfare systems. As a result of professional development funding provided through the fellowship, Crisis Nursery staff members participated in customized training to help them adapt, manage, and accomplish the changes and program expansions. At the time of his fellowship Keith A. Thompson was entering his fourth year as executive director of Phoenix Shanti Group. He led the agency to expand services, double the annual budget, and increase the number of clients served. He is responsible for the fiscal, programmatic, and development operations of the agency, which provides housing, education, and direct client services to individuals, families, and loved ones infected with and affected by HIV/AIDS. 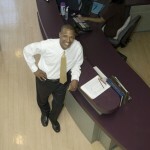 Mr. Thompson served as executive director of TERROS Behavioral Health Services for five years. He has worked in a program coordinator/counseling capacity for the Maricopa County Department of Public Health, Presbyterian Service Agency, and Outreach Services, Inc. of Mesa. Mr. Thompson received a Master of Divinity degree from Vanderbilt University in Nashville, Tenn., and a bachelor’s degree from Monmouth College in Illinois. 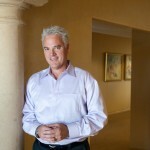 He is a Licensed Independent Substance Abuse Counselor in Arizona. The goal of Mr. Thompson’s sabbatical was to better understand how to serve the changing needs of people who are HIV positive or living with AIDS, particularly the special medical and psycho-social needs presented by a growing aging HIV positive population. Mr. Thompson spent three weeks visiting AIDS agencies in several West Coast cities to learn how they are strategically addressing the ongoing needs of clients. He also participated in Georgetown University’s Nonprofit Management Program followed by visits to several model agencies in the Washington, D.C., area. He ended his fellowship with a week of reflection in Southern Pennsylvania.